“Discount the growing throngs of tourists and worsening traffic and not too much has changed for Tai O’s indigenous townsfolk. Shrimp, fish and squid are still laid out to air dry under the sun as they have for generations. 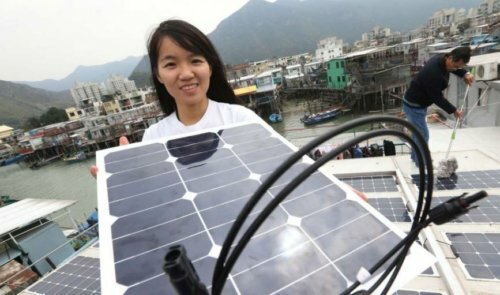 But residents from one of the west Lantau town’s fishing villages are beginning to discover an additional use for sunshine through a recently launched renewable energy project developed with the help of green group WWF-Hong Kong. This article was first posted on 15th March 2017.